If you prefer to read, PearDeck is a FREE tool that integrates with Google Slides. Open up a presentation with google slides and you can make it interactive by using the the Pear Deck add-on. With the add-on, you can add polls, questions, and other interactive formative assessments to your presentation. You give the students a code to join the presentation and you can have them work at their own pace or you can control the presentation so they can only see the slide that you project. For each slide that you added an interactive component, you can see the students’ responses LIVE on the teacher dashboard. The student will see the slide on their screen as well as a space to type in a response. As the students are typing it will appear on the teacher dashboard. You can choose to project the classes’ answers if you wish to have a discussion. When you close a session you can save it. For example, I save a separate session for each class. This is where I can turn on student-paced so students can work through the entire presentation at their own speed or end the session so students can no longer submit responses. When you end a session and publish takeaways, responses from each student will appear in your google drive in the Pear Deck folder and students will receive an email with all of their responses. If you are a 1:1 school, this is a great way to use technology in a formative assessment. It is also a great way to reduce handouts. For example, I was originally going to print out a handout of the slides and have students handwrite their responses. Now, I can have them see the image more clearly, and in color, on the screen and type their responses. 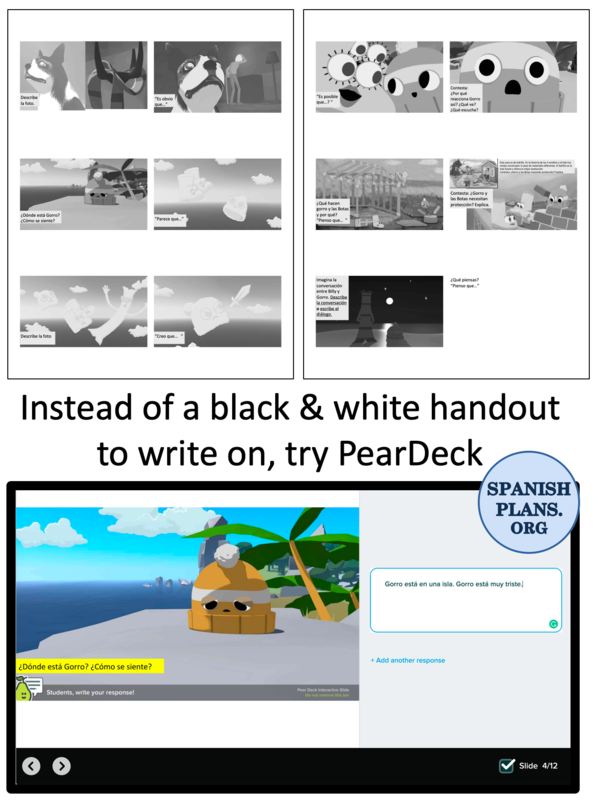 I’ll be updating my De Que Me Sirve la Vida lesson by using PearDeck instead of printing out a 3 page packet to have students translate the messages. And if you use screenshots to have retell a story of a MovieTalk, try this paperless option. This entry was posted in Web2.0 Technology and tagged paperless, Pear Deck, peardeck. Bookmark the permalink. I am new to Pear Deck, haven’t used it in a classroom yet. 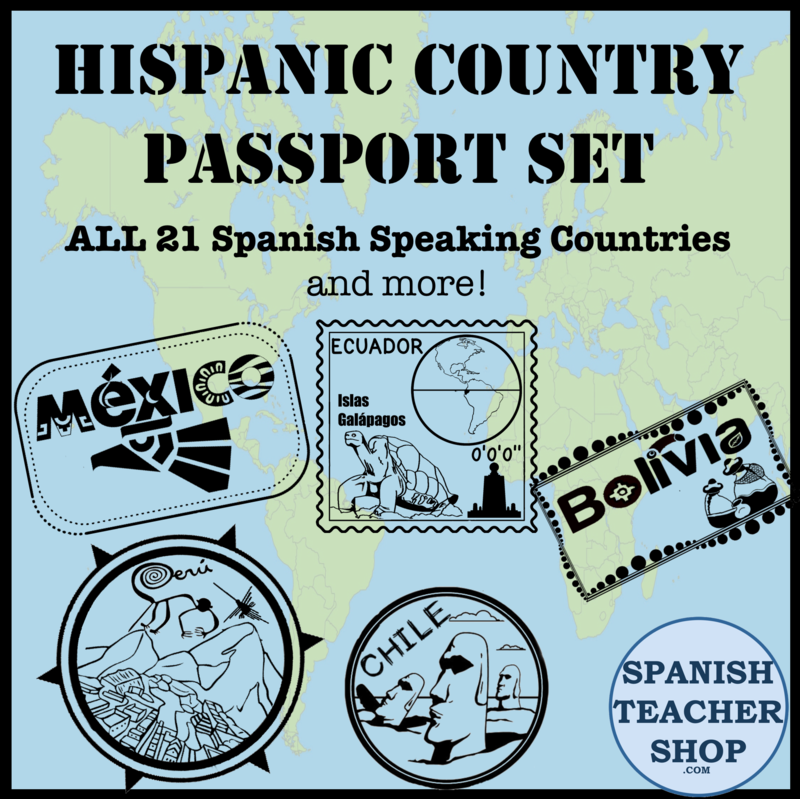 Immediately this sounds great for my students since they work at very different paces. I was wondering if you can use it for substitute days. Have you tried that? Have only used it twice, but definitely could see it working with a sub. You just need to make sure to leave the join code(s) so students can access the presentation. I’ve used edpuzzle before with subs and it’s worked fine.